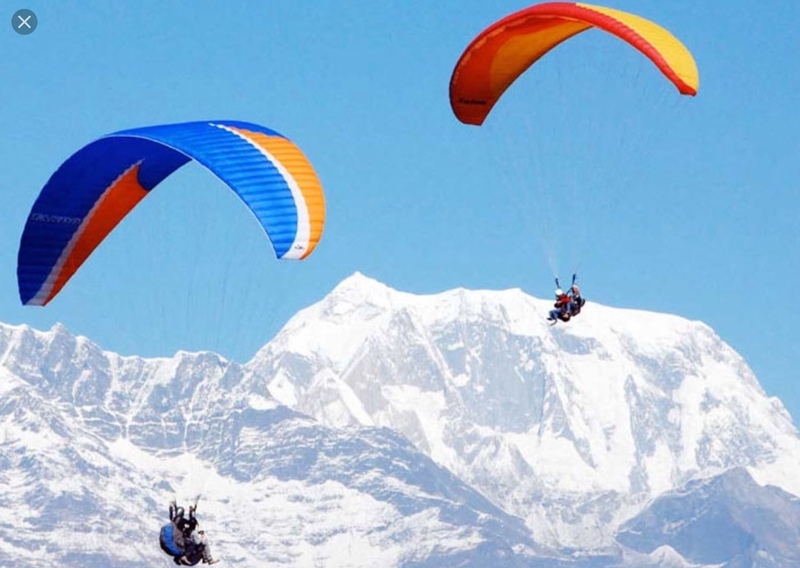 Paragliding in sarankot Pokhara is one of the world’s best paragliding locations in the entire world. Spectacular mountains view with villages and monasteries perched on hill tops with enchanting deep valleys, river gorges, Fewa lake and more. Paragliding was introduced into Nepal in 1995-96, when some foreign visiting pilots decided to explore flying possibilities around the Pokhara valley. The sport with its self-advertising nature soon charmed the country ‘adventurists’ and has gained enormous popularity since. More to the point, Nepal’s vast and diverse geographic features offer a variety of sites and absolute flying conditions, almost anything a para glider pilot could wish for. A paragliding trip in Nepal takes you over some of the best scenery on earth , as you share airspace with Himalayan griffin vultures, eagles, kites and float over mystery shriunded monasteries, ancient temples, Beautiful turquoise lakes, raging rivers, Exotic jungles and old villages with a fantastic view of the majestic Himalaya.Pokhara is the most celebrated destination for paragliding in Nepal and is the fast attaining world recognition. The beautiful city at the foot of Annapurna Himalaya gives an opportunity for a commanding aerial view of the Annapurna range that comprises 3 of the 10 highest peaks in the world- Dhawaligiri Annapurna, Manaslu , all over 8000m. .